Officials believe Antwan Kennedy may have a connection to the 2010 disappearance of Lynda Meier. Officials have arrested a man they believe may have a link to the 2010 disappearance of a Hallandale Beach woman. Antwan Kennedy appeared in Broward County bond court Thursday on a probation violation out of Pennsylvania, but authorities believe his arrest could lead to a break in the unsolved disappearance of Lynda Meier. Police believe Meier was murdered, but her body has never been recovered. More than three years after Lynda Meier of Hallandale Beach disappeared, law enforcement agents were once again searching for her at an empty lot in Opa-locka Monday. Sharon Solano spoke about her friend. Hallandale Beach Police Chief Dwayne Flournoy discussed the case. "We hope that there is somebody who is now comfortable with coming forward with the information," said Hallandale beach police Chief Dwayne Flournoy. Flournoy said he thinks Kennedy may have acted with an associate named Dallas King. Authorities said both men were captured on video using Meier's ATM card at two different Miami banks the day she disappeared. King is already serving life in prison for crimes not related to Meier's disappearance. Neither defendant has been charged in relation to the Meier case. 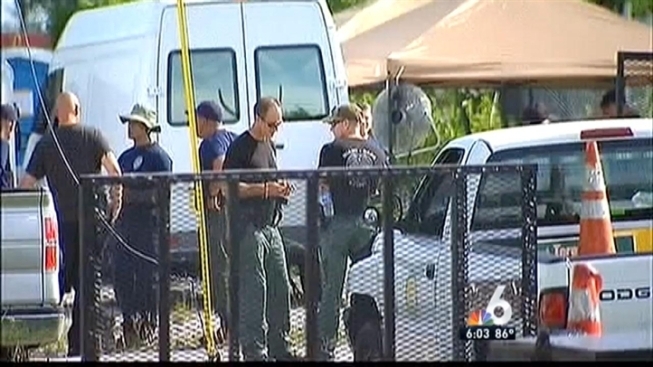 A recent tip led police to search a field in Opa-locka for Meier's remains, but nothing materialized. Now police are hoping for other tips from people who didn't want to talk before, but may do so now that Kennedy and King are both in custody. "It's gone longer than what I would have like it to and I would have liked to solve it," Flournoy said. "But most of all I would like to bring justice."